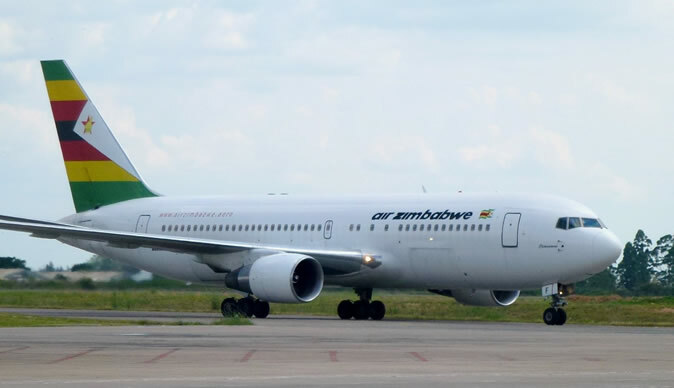 There was panic among Air Zimbabwe passengers who flew from South Africa to Zimbabwe when the airline left all passenger bags in South Africa amidst revelations that the ariline did not pay some required fee. Veteran Broadcaster Ezra Tshisa Sibanda took to Social media to narrate his ordeal at the hands of Air Zimbabwe. "Air Zimbabwe is simple pathetic and disaster waiting to happen. The flight from hell, despite one-hour delay left all the passengers bags at Oliver Tambo Airport in South Africa and never informed the passengers. On arrival, everyone went through immigration as per the norm and waited at Customs Hall to collect their luggage." Tshisa said. "A few minutes later one guy from Air Zimbabwe came to make an announcement that our bags were left in Jozi. I saw stunned faces of people disbelieving what they were hearing. The flight was full, and we had women and children, the elderly, the disabled and people on medication who urgently needed their medicine after landing. All their bags were left in South Africa. No apology from Air Zimbabwe but lies from their staff who told people the luggage was too heavy for the Boeing 767. "I phoned Airports Company South Africa, the baggage handling company in SA who said Air Zimbabwe failed to pay the company hence the luggage was never loaded. What is so disturbing is the issuing of boarding passes which belong to Air France. This is a scandal and l don't think Air France knows about this. "I've been mulling travelling with this airline because of my past experience. I flew same airline during the same journey last year and had an awful experience, they lost my bag with an Ipad. After a week it was returned and the Ipad was tempered with and had to destroy it for security reasons. No compensation from the poorly run airline. What a disgrace." Fumed Tshisa. Recently, a prominent medical doctor from Bulawayo who declined to be named for professional reasons told Bulawayo24 that last week a passenger developed a complication inside the plan and they tried to administer oxygen to her but all the tanks were empty. Air Zimbabwe runs a tiny fleet of ageing aircraft: two Boeings, an Airbus and one propeller plane. The company has been severely mismanaged and is currently struggling under a debt of around $300 million. The company has since been put under an administrator through The Reconstruction Act.